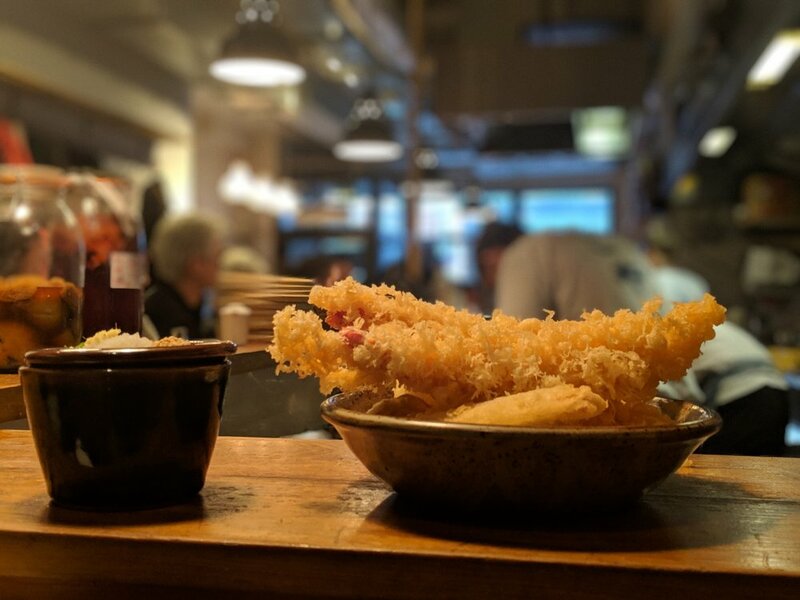 If you are looking for authentic udon in London, look no further! 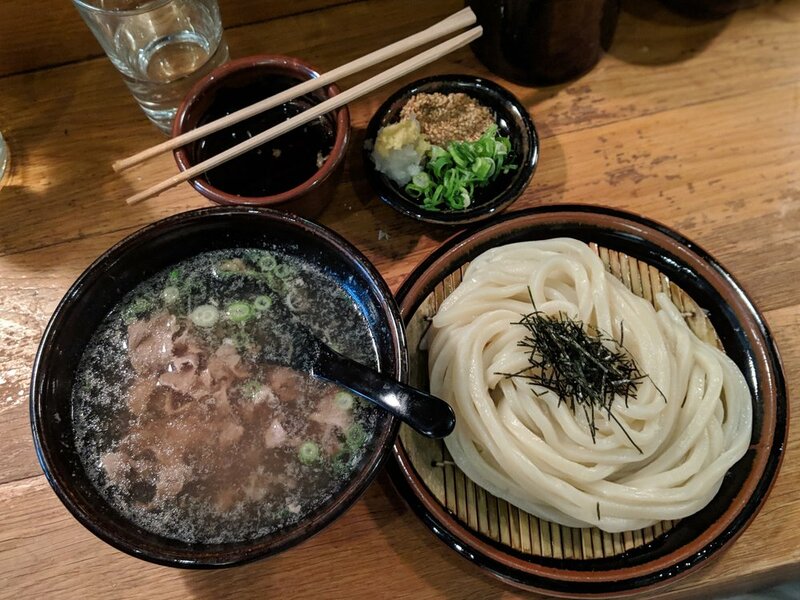 This Tokyo-style, Soho udon-ya serves up the thick flour noodle dish in all its main variants with small plates to match. Cold udon noodles at Koya, Soho. The Niku Hiya-Atsu (cold udon with hot beef broth) is my regular to-go dish. When I am feeling particularly hungry (which is pretty much always! ), I order the tempura as well (with prawns and greens) as a starter -also delicious on the side. Be prepared to queue as this place is just as popular as the day it opened! With only 25 stools to spare, the capacity is limited and I recommend being no more than three (even better if just a couple, as you will be seated much quicker). In order to skip the queues, consider turning up slightly earlier or later than regular lunch/dinner time.